On Saturday, August 4, the Playland-on-Balboa music festival returns to the Outer Richmond for its second year. The free event brings local makers, food vendors, musicians and family-friendly fun to Balboa Street between 35th and 38th avenues, which will be closed to street traffic from 10 a.m. to 5 p.m. Nonprofit organization Richmond District Neighborhood Center is the event's organizing body. According to a statement, this iteration of the music festival was funded by the city's Office of Economic and Workforce Development, Outside Lands Works and the Balboa Village Merchants Association. 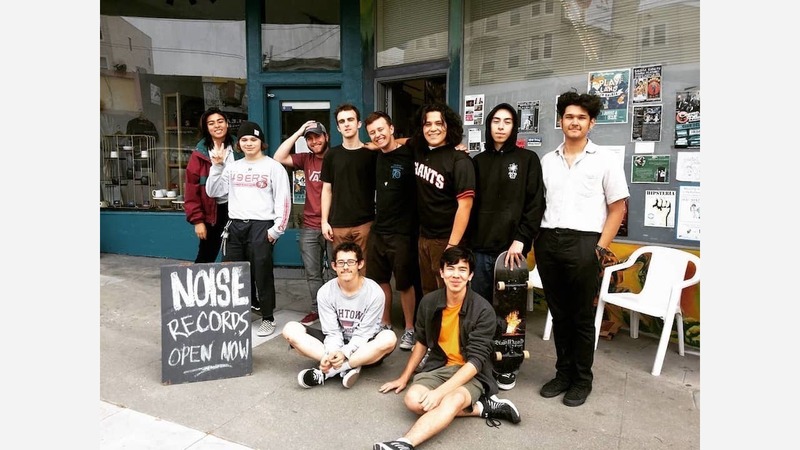 In addition to a main outdoor stage, several Outer Richmond businesses are participating, including La Promenade Cafe, Simple Pleasures cafe, the Balboa Theater, and Noise, a record shop and art gallery founded by area resident and professional musician Daniel Brown at 3427 Balboa St.
"My son opened his record store in 2015 where he also had live music open to the public, every hour from 10 a.m. to 8 p.m.," said Brown's mother, Sara Johnson. "He wanted to do and create something that he thought the neighborhood would like." According to The Chronicle, Brown, a saxophonist, began selling records on Balboa Street at The Mysterious Rack, a since-shuttered consignment store. When an art studio a few doors down went under, Brown leased the location and opened in September 2015. Acts performing at the festival's outdoor main stage include DJ Jackie Sugarlumps, The Total Betty's, BURNT, Lilan Kane, and Bandy's Brass Band. During the festival, La Promenade Café will host music by Denise & Larry and McLean, and Creative IQ will present an art opening titled, "Those Who Can, Teach," along with a performance by Bandy's Brass Band. After a free 10 a.m. screening of cartoons for children, the Balboa Theater will exhibit two films by Strephon Taylor, "Sutro's: The Palace at Land's End," and "Playland at the Beach," a look at the former amusement park that was once the area's main attraction. Johnson, a San Francisco native (and pianist) who frequented Playland as a child, noted that the theater is home to a restored bumper car that was once in service at the amusement park. After the festival ends, Simple Pleasures (3434 Balboa St.) will host live music from 4-9 p.m., including performances by The Wyatt Act, Vollmer, The Salt People, and Chris Mendoza and Friends, while VERST and Rocky Ramirez will perform sets at Noise.